Chronic stress can be reduced by taking Curcumin, a polyphenol derived from the ancient Indian spice turmeric. Stress can cause destructive behaviours within the brain, making us feel anxious and depressed. Thankfully, Curcumin has been shown to reverse harmful brain changes that can be induced by chronic stress. Curcumin also stimulates new brain cells to form and to develop connections. These are two processes that can prevent or mitigate any symptoms of depression. 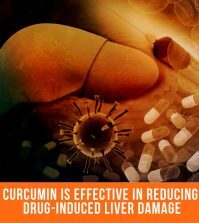 Curcumin has also been widely used in studies for nearly 4,000 years when it comes to treating or preventing various diseases. Recent studies have shown that Curcumin has many mental health benefits that can help with reducing stress-induced anxiety and depression. Preliminary laboratory research has demonstrated that Curcumin has the ability to mitigate any adverse impact that stress may have on general mental and physical health. Stress can be controlled at the cellular level and may inhibit the natural antioxidant systems. It may also promote oxidative damage and increase energy-producing structures inside of mitochondria where the cellular energy is managed. Researchers looked at test subjects in studies to examine the close relationships between psychological stress and any damaging effects that may occur. These studies were created to mimic the kinds of chronic and unpredictable stress that many people may experience within their daily lives. Studies showed that chronic stress produced physical changes within the body, by increasing the size and weight of the adrenal glands, especially in the areas that make the stress response hormone cortisol. Elevated blood levels of cortisol can cause long-term health effects such as weight gain in the belly area which is a common sign that many stressed humans develop. How Does Stress Affect The Body At A Cellular Level? Stress can inhibit the body’s natural antioxidant systems, promoting oxidative damage and injuring any energy-producing structures inside the mitochondria, where cellular energy is managed. Additionally, many stressed test subjects were found to develop deficits in their cognition, memory and performance. This chronic and unpredictable stress was found to affect the production of brain-protective compounds. This is why many altered mental behaviours have been observed in response to stressful situations. 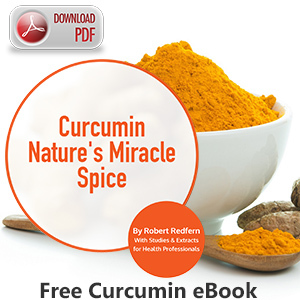 Studies have also indicated that curcumin may reverse any of these damaging changes to the body’s physical systems. 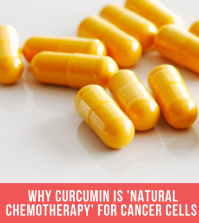 Curcumin has also been shown to restore cortisol balance and bring the adrenal glands to their normal function when given orally to test subjects. This is because Curcumin improves both the oxidative and energy-restricting effect that stress has, while restoring normal behaviour. 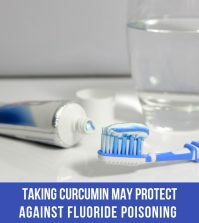 More recent studies have also shown that Curcumin can help with preventing brain cells dying, while promoting new brain-cell connections that may otherwise become damaged from chronic stress. Curcumin also has the capability to protect cellular structures from physical damage, while remediating any long-term impacts from stress, anxiety or depression. 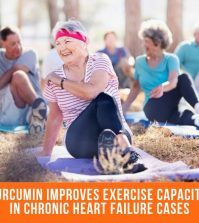 There are many studies indicating that including Curcumin in your diet can provide a wide array of health benefits. This includes reducing amylase levels (a marker of acute stress), while increasing scavenging free radicals. In the process, lowered blood markers of brain deterioriation can also show the effects that reducing stress can have in the brain. One study from 2016 showed how Curcumin can have an impact on people suffering from occupational stress-related anxiety and fatigue. This also included reduced evidence of oxidative damage. One study in particular focused on anxiety within obese people who were more at risk for anxiety and depression. Of the 19 subjects taking Curcumin at 1000mg/day or a placebo, it was found that after the 30 day period those who supplemented with Curcumin were more likely to experience a significant reduction in anxiety. For all of the numerous studies mentioned above, it’s advisable to take a Curcumin supplement on a daily basis to target chronic stress and symptoms of anxiety. 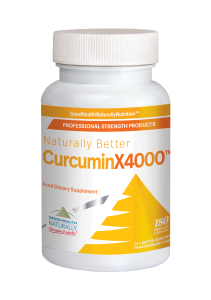 Curcuminx4000™ – This Curcumin uses Meriva ® Phytosome technology which in a recent study showed an increase in utilization up to 20-45X compared to ordinary Curcumin 95%. Curcumin can support the body’s normal inflammatory processes, providing relief for a wide variety of health conditions including stress and anxiety – essential for anyone looking to relax and improve their overall vitality and wellbeing. 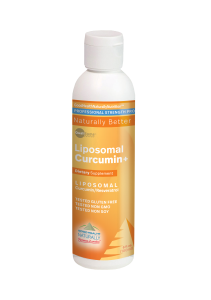 Liposomal Curcumin Plus – Liposomal Curcumin may improve health at maximum nutrient strength with support from the antioxidant resveratrol.Provides natural anti-inflammatory protection, increased antioxidant activity and is formulated to maximise nutrient strength.